It’s extremely important for every journalist to have a portfolio online which profiles their work, and WordPress makes it extremely simple to do this. If you are a journalist looking to create your own independent news portal, you can set up and customize your website fast with WordPress themes. Many journalists also use their websites to connect with readers and viewers through blogs or other content. 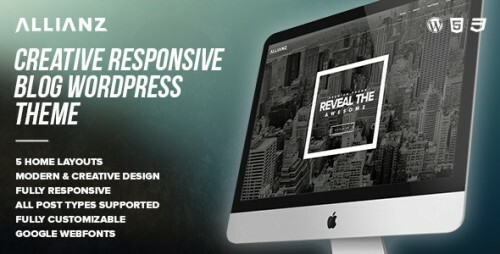 So, here we have compiled the amazing journalist WordPress premium themes. These themes let you to build a completely functional website or blog even if you don’t know jack about web design of coding. These themes suitable for personal bloggers, small magazine or fashion blogs. However, if you’d like to share them with your friends, please refer them to this page so that they can purchase them from here. 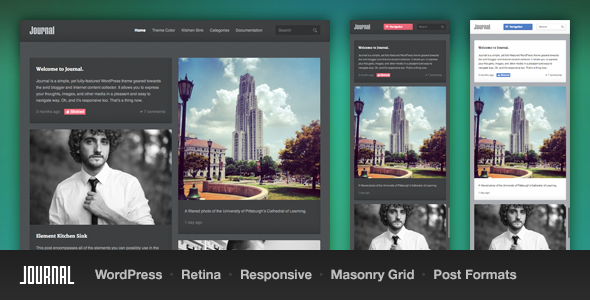 Darkroom – Fullscreen Studio for WordPress theme is desgined for the creative professional. Minimal, responsive, fullscreen slideshows, videos and woo-commerce ready so you can configure a shop a ease. The theme uses non intrusive user interface so your work is always at center of focus. Visitors can toggle fullscreen mode to display background slideshows or images on any page. If you’re looking for a basic blog, you’ve come to the wrong place. 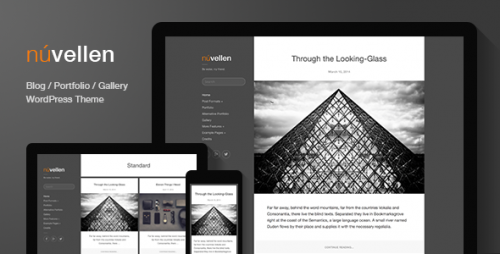 This theme is built for the serious writers looking to showcase their talents. 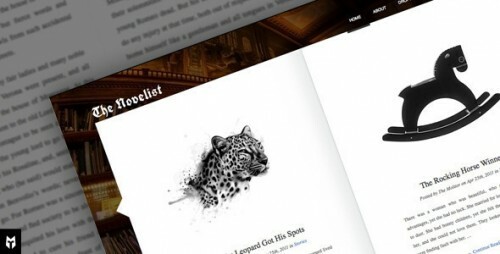 The Novelist is a premier RESPONSIVE portfolio theme for authors and/or copy writers. Content is king people. Nuvellen is quite an all-rounder! Bloggers and writers can present their content in a clean and user-friendly way. No clutter or distractions will draw a visitors attention away from it. Artists and photographers will have a blast utilizing the themes portfolio and gallery functionality. 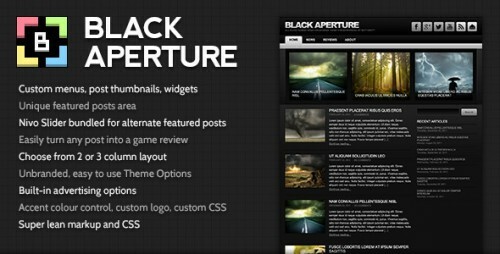 Black Aperture is an all-in-one news and reviews theme specifically catered to video games. Dynamic image resizing for various thumbnails used through-out the theme. Upload once, and see the image used all over in different sizes and aspect ratios. Unique featured posts showcase requires minimal effort to take advantage of. 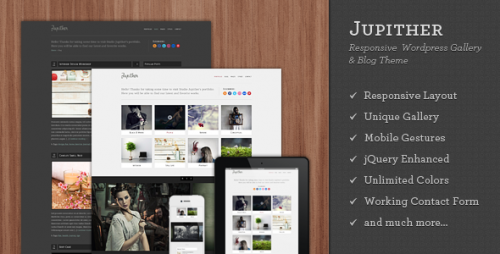 Journal is a simple, yet fully-featured WordPress theme geared towards the avid blogger and Internet content collector. It allows you to express your thoughts, images, and other media in a pleasant and easy to navigate way. 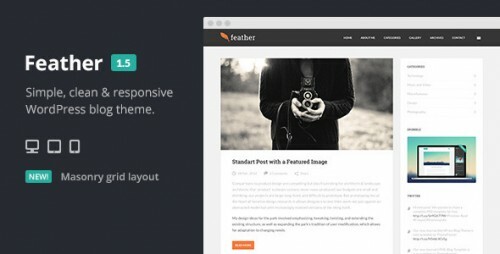 Feather is an awesome WordPress theme which brings simple & clean design. It’s ideal for blogging. It’s very flexible, fully customizable and powered with Redux Framework. 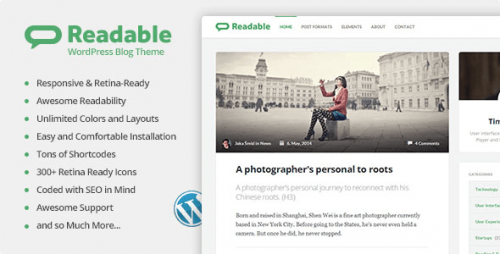 Readable is a premium clean WP theme for blog with impact on best readability possible. It can be used as a personal blog, magazine, journal and it is very easy to setup and use. 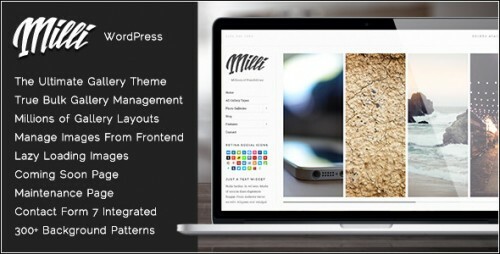 Milli is the ultimate WordPress photo gallery theme. For the first time you get true bulk gallery management and layout control with Milli’s really simple gallery creation system. Every gallery you see in Milli is made using a WordPress Page, not a custom post type.